The world produces roughly 17 billion pounds of green coffee per year. The US is the largest coffee-consuming nation on the planet, drinking almost one fifth of this (just over 3 billion pounds). Today, coffee is grown in nearly 80 tropical and subtropical countries, and is among the most valuable items of international trade. Nearly half of all American adults drink coffee daily (80% drink it at least occasionally); 16% drink gourmet coffee daily. The US is the largest coffee consuming nation in the world, followed by Brazil. Germany is the largest in Europe. In 2004 more than 25 million acres (across Latin America, Africa, and Asia)-an area close to the size of Portugal-was planted in coffee. The US coffee industry is valued at about $19 billion per year; the gourmet coffee industry represents about 50 percent of the industry, by value. During the years 2001-2003, global coffee prices hovered at their lowest level ever; the 'coffee crisis' that ensued destroyed national economies and devastated millions of small-scale family farmers. When you spend $3 for a latte, typically less than one penny of it goes to the farmer who grew the beans. 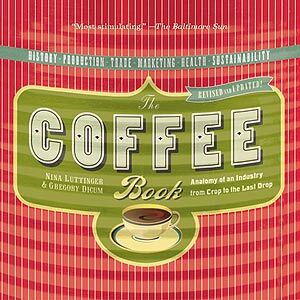 What was the most surprising thing you discovered about coffee while researching the book? In 2001-2, global coffee prices fell to their lowest level ever, in real terms. The Coffee Crisis that ensued wreaked havoc on coffee farming families all over the world. What caused it, and what were the impacts of it? What is Fair Trade coffee? How does it help farmers? Why are people turning to specialty coffee more and more? What are 3 major trends affecting the coffee industry today? Is coffee bad for our health? What are some of the social and environmental issues behind coffee production today? 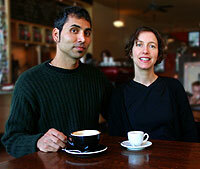 When we drink a $3 latte, how much money has the farmer earned? Why?